Dad's relationship with guns was a little like mine with cameras: he enjoyed using, repairing, finishing and even building them. 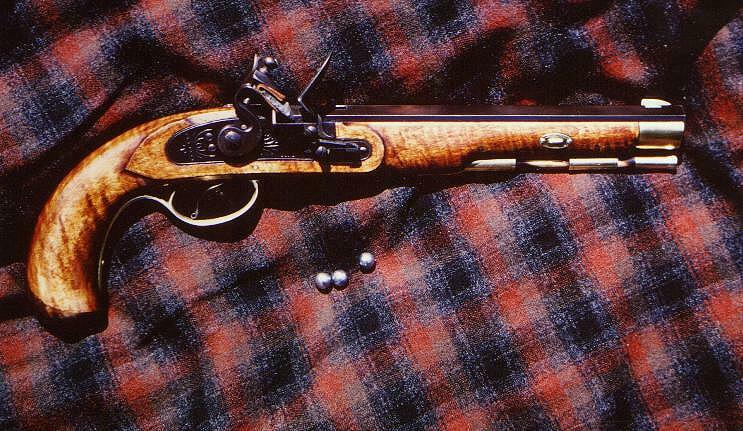 He made the flintlock pistol above sometime around 1960. 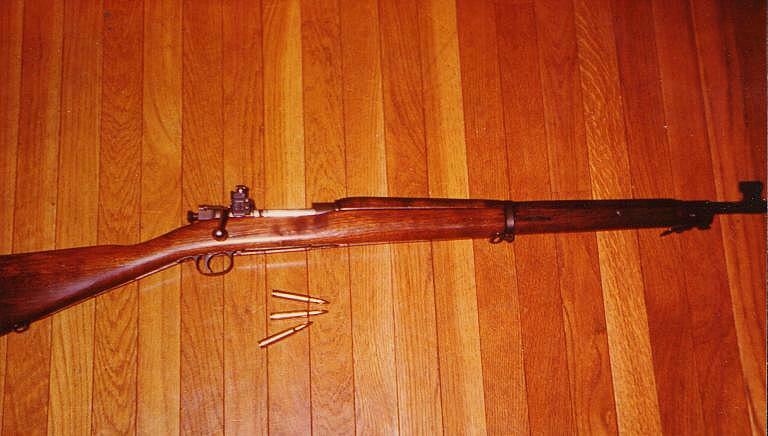 He created this by modifying a World War One vintage Springfield army rifle like the one below. 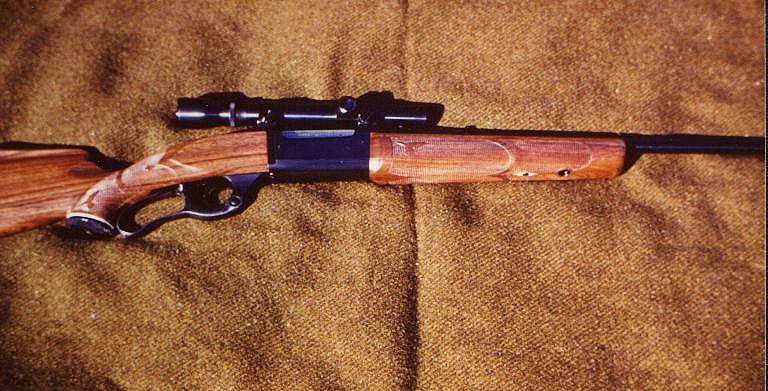 Dad also made the stock for this Savage Model 99 that belonged to his father. Most Savage rifles aren't particularly pretty, but this one is very nice. 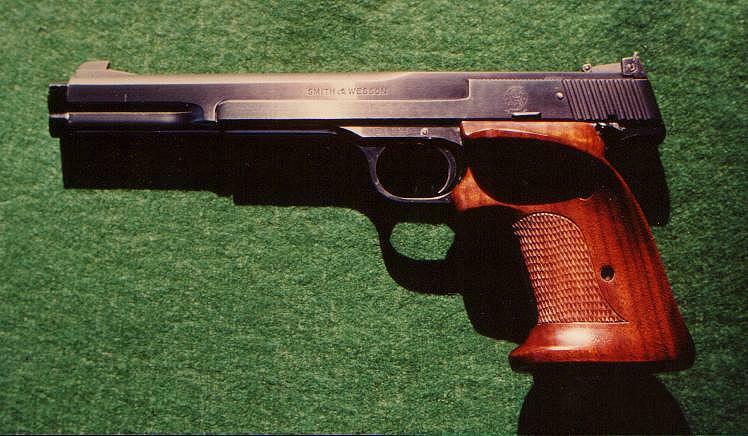 Dad's favorite target pistol was this Smith & Wesson Model 41 automatic. He made the custom contoured walnut grips, fitted to the shape of his own right hand. When arthritis later made right-handed pistol shooting impossible, he switched and became an expert marksman left-handed. 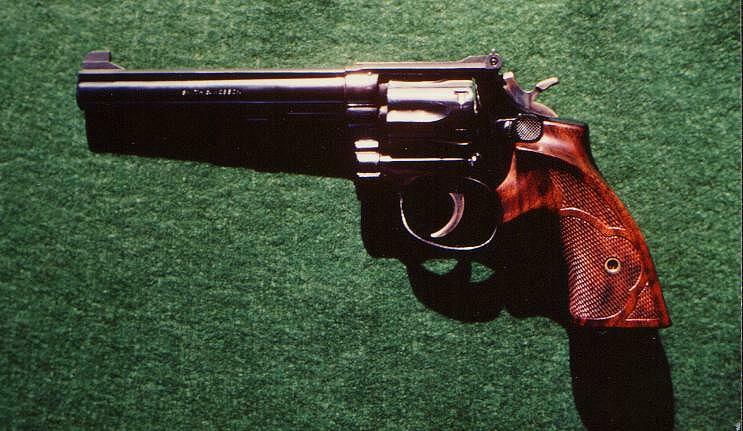 Another example of Dad's pistol grips are the ones on this Smith & Wesson K-38 revolver. But some of Dad's finest work was done in the late 1970s, after he retired at age 58. He took up engraving and metalsmithing, and created some beautiful pieces in his last years. 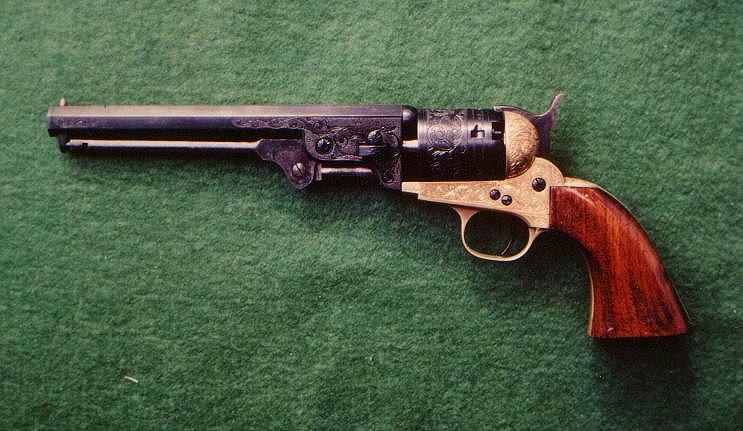 One example of his gun engraving is the EIG replica of a Colt Navy .36 caliber percussion revolver below. 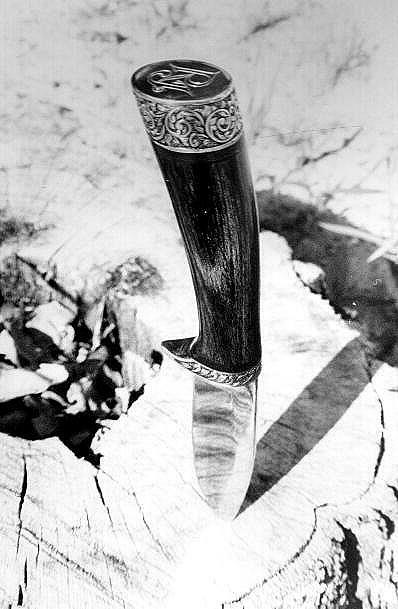 He engraved other things besides guns as well: Below is a Browning hunting knife, engraved by my father for my brother-in-law, Richard Johnson. 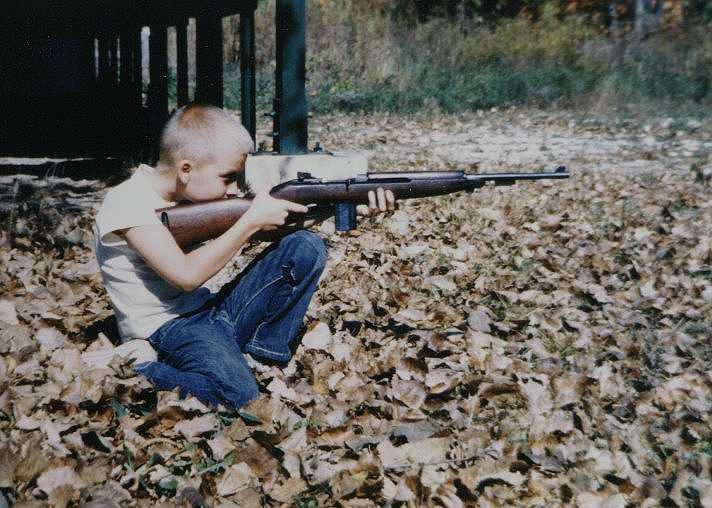 I was once something of a Gun Person myself: This is me at age 10 (the same year that I became a Camera Person). There are other nice pieces, but I don't have photos of all of them. I'll try to get some more posted in the near future. Dad wasn't ALL about guns: he had some cameras too, which you can visit here.